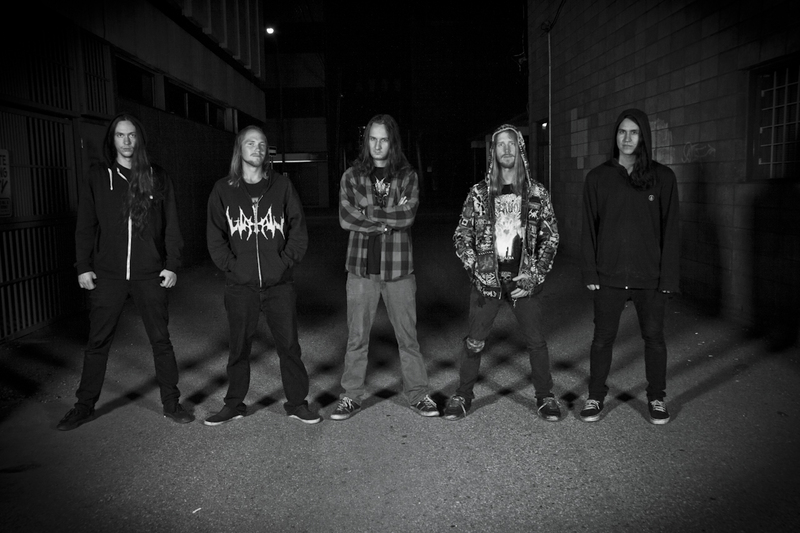 Levi Meyers, Bill Ferguson, Wallace Huffman, Marlow Deiter and Lowell Winters formed XUL in Vernon, British Columbia, Canada, following in the footsteps of bands such as: Behemoth, Dissection, and Immortal, XUL has left the beaten path to forge their own brand of Blackened Death Metal. An energetic and engaging live performance, overflowing with crushing rhythms seamlessly coalescing into atmospheric passages, accompanied by a storm of punishing percussion and vicious vocal harmonies. 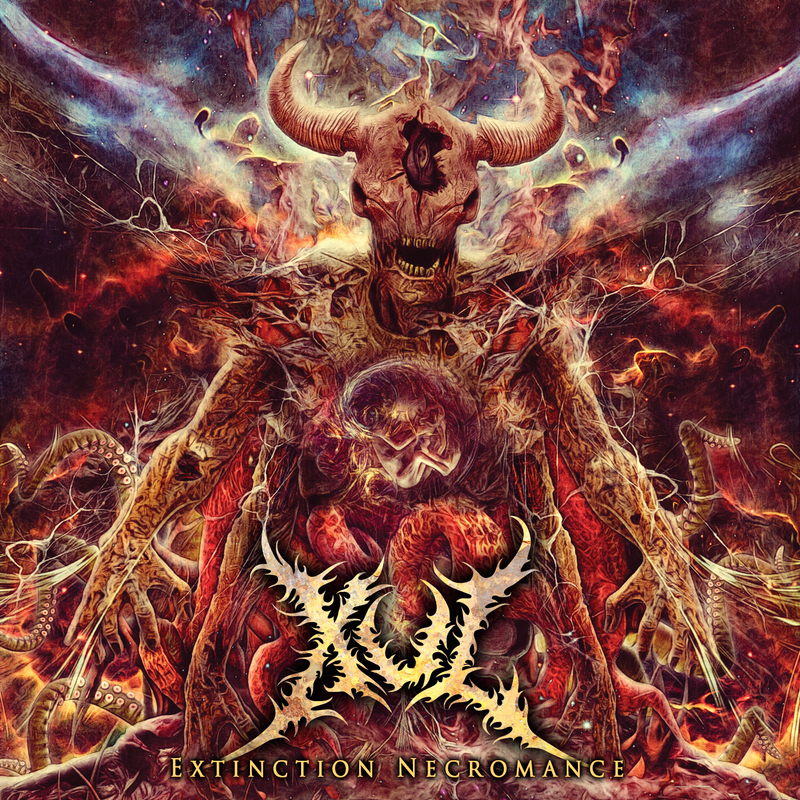 XUL has expanded on their previous work with their new release “Extinction Necromance”. Heralding a new age of northern darkness. 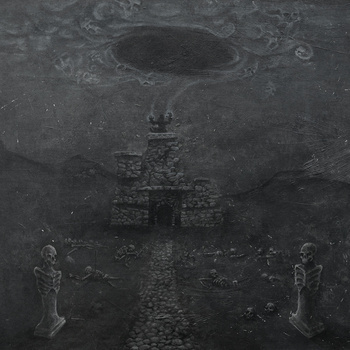 Songs reminiscent of cold lonely tombs, malevolent intent and predatory nature. XUL captivates audiences like light attracts flies. XUL’s first offering since 2012’s Malignance , “Extinction Necromance” see’s a reverse‐metamorphosis of the band, delving deeper into the maelstrom and the result is truly unsettling. Driven by determination and a diverse accumulation of musical comprehension, XUL has toured Western Canada, sharing the stage with heavyweights including Obscura, Exhumed, Vreid, Kampfar, Woods of Ypres, Macabre, Withered, Cephalic Carnage, Archspire and 3 Inches of Blood. Extinction Necromance looms heavy just beyond the light of day and XUL is determined to build on an already impressive western Canadian following, while firmly setting the rest of Canada in their crosshairs.